It's NY Fashion week... and I've been anxiously watching the trends for inspiration. Recently the flame motif in Prada's shoes and clothes (love the dress!) caught my eye... 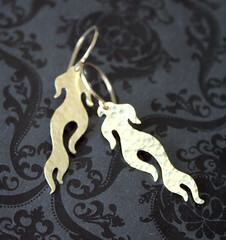 I was inspired to translate this into my jewelry with my own flame motif designs. Now available on my website! 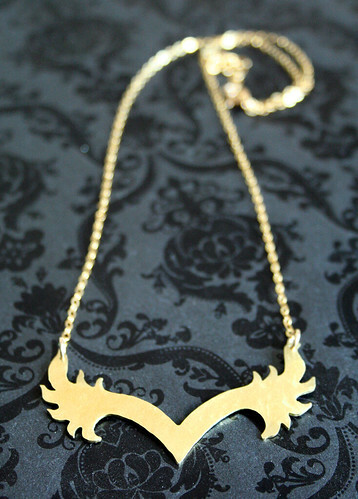 Flame motif necklace - hammered & polished brass flame design on 14k GF chain.